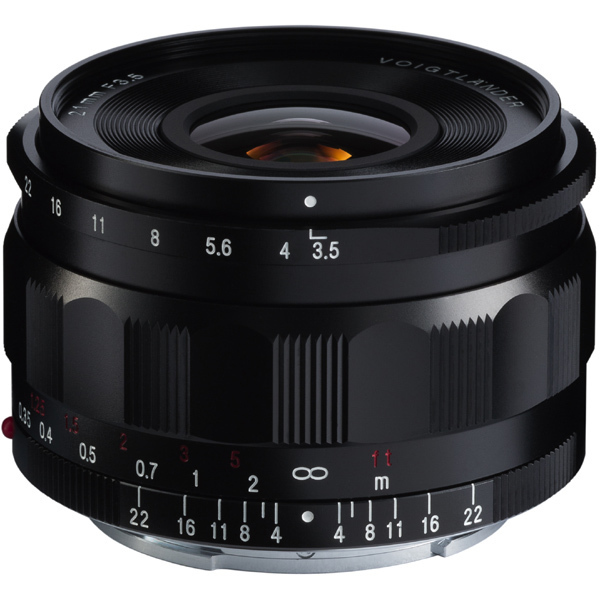 The new Voigtlander COLOR-SKOPAR 21mm f/3.5 Aspherical Lens for Sony E-mount is now officially announced. The Japanese suggested retail price is ¥85,000 (excluding tax). The US pricing is not announced yet. And it is scheduled to be released in October 2018. Sony E mount compatible with electronic contacts, lens usage status is reflected in Exif information of shooting data. In addition, because it incorporates a distance encoder, it supports 5-axis camera shake correction on the camera body side. It is also possible to enlarge the viewfinder by operating the focus ring. Optimized optical design: In addition to securing full-size image circle, it adopts optical design optimized for Sony E mount sensor. High resolution is maintained up to the periphery of the screen, and phenomena such as color hue are suppressed. Manual Focus capable of reliable focusing: focusing smooth operation feeling by adopting a total metal helicoid unit processed and adjusted with high precision and high quality grease producing moderate torque. It enables delicate focus adjustment. Shortest shooting distance 20 cm: the shortest shooting distance from the subject to the image plane is 20 cm. It expands the possibilities of drawing with the intense perspective peculiar to ultra wide angle lens. Read more at Cosina Japan.